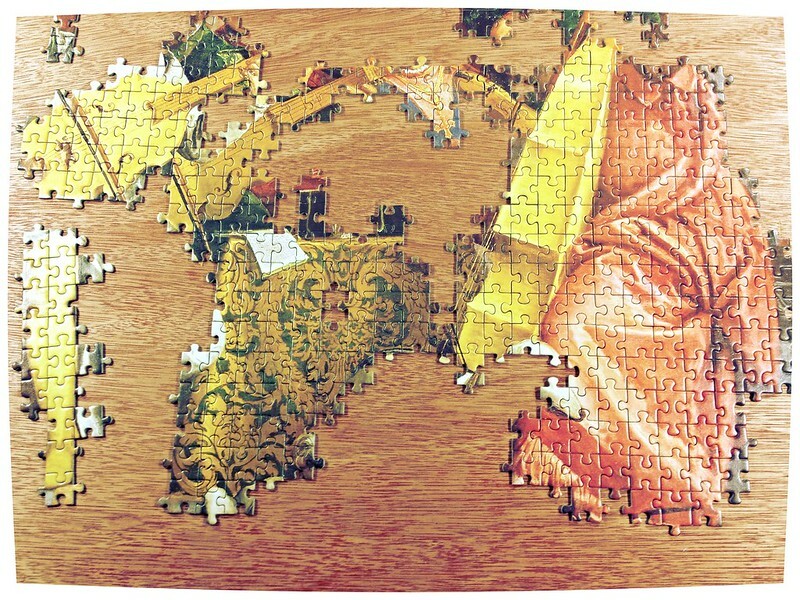 Not a lot of progress really. We have been busy having fun sailing but I managed to get the red pieces organized and have but down around 180 pieces or so. Here is the cellist and Jesus. 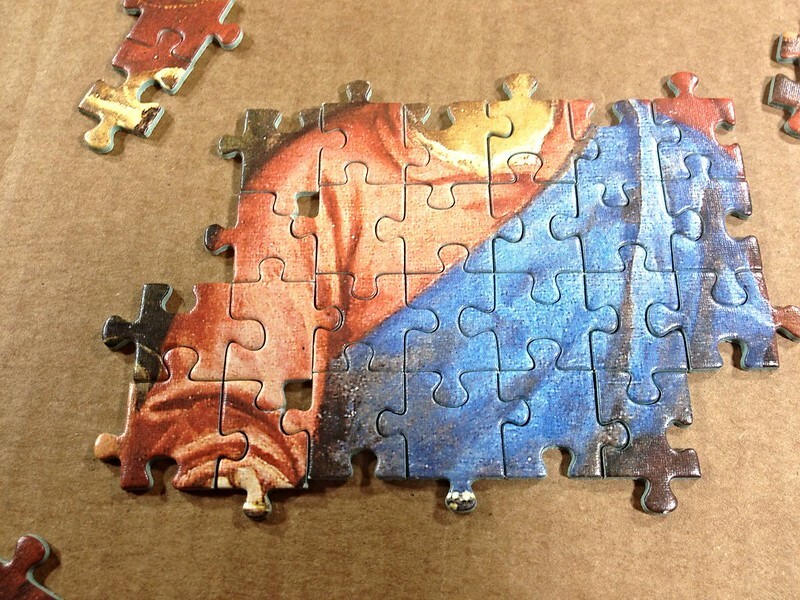 Turns out Jesus has two of the four broken pieces inside him. He is Wholly!